Caleb's Coastal Life: Random Acts of Kindness...and November photos! Random Acts of Kindness...and November photos! At my dear mother's request, I'm going to try and post twice a month! So here it goes, and there's lots to catch you up on! Caleb pulls off a successful photobomb! First off, Halloween! It was a great success this year, in huge part because both boys were very relaxed about costume choices, and because a friend brought over dinner before we headed out the door at 5:45! Alan had been away on tour for an entire month, and I had a very busy schedule with work, including a meeting in Halifax on the morning of the 31st - so getting home to a hot dinner was very much appreciated! Caleb's only costume request was a monster mask with feathers. I ended up finding something at the dollarstore which was deemed acceptable, so I dressed him in all black and hung his 5 ft stuffed snake around his neck - and voila! He was a monster/snake charmer! Odin was happy to wear his lion costume again this year, especially when he found out that his buddy, Willa, was also going as a lion. They were incredibly adorable being pulled around on the wagon all evening! We found another lion along the way! 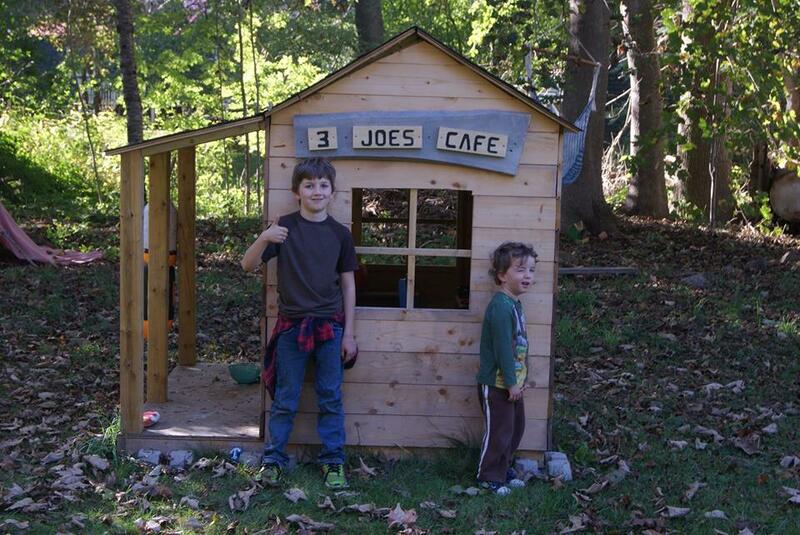 The boys have been the very luck recipients of some amazing acts of kindness this fall. In September, we were visiting Fredericton when 3 teen aged girls showed up at Wilmot Park with at least a dozen giant helium balloons and began handing them out to all the kids on the playground. It turned out to be 'Becca Schofield Day' in New Brunswick, a day to honour a young girl with terminal cancer whose wish for people to do kind acts has grown into a national movement. Inspired by this amazing 'Becca Told Me To' act, the boys were keen to pass a random kind deed forward. The following day, we were out at a restaurant for a family breakfast before the boys and I were heading home on the ferry. Instead of bringing two big balloons on the boat with us, the boys thought they could pass their balloons along to someone else. Caleb and Odin, along with cousins Aly and Ava, found some kids at a table and rushed over to present them with the balloons. The kids were delighted to receive the unexpected gifts, and the kids at our table were feeling really great about doing a kind act. It turned out a man at the restaurant noticed the exchange and decided to do a random act of kindness back to our kids....so after breakfast, 4 ice creams appeared at the table! The kind deeds were now back to us to pass along! 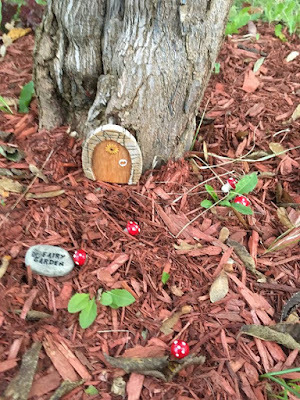 A few days after returning home another amazing thing happened - an adorable fairy house magically appeared on a tree in our front yard! Complete with mushrooms, a door and an adorable sign. 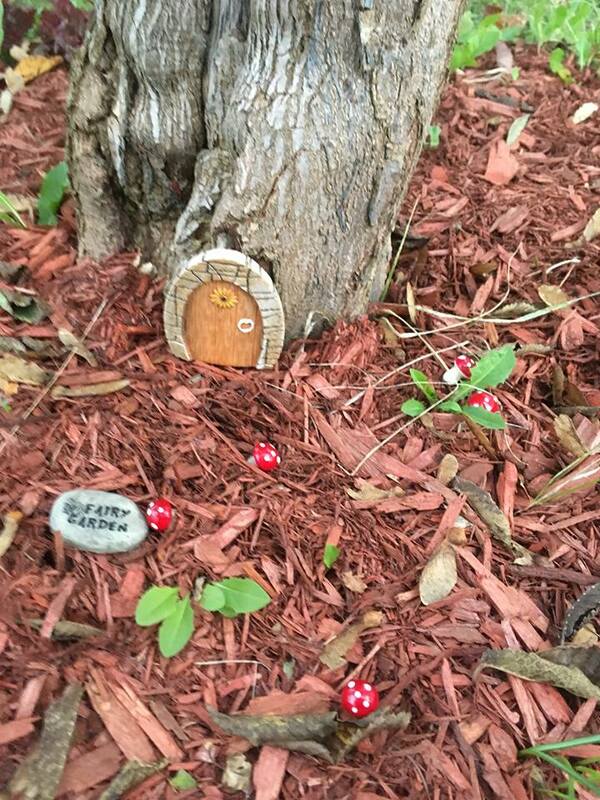 The kids couldn't believe it, and it turns out at least one other family received a similar fairy house surprise! We still have no idea who did this, but whoever it is must be having fun because on Halloween a tiny red wagon and a ghost appeared at the fairy house! The wagon stayed, but the ghost disappeared on Nov 1! Discovering this was pure magic! We decided it was our turn to do something nice, and Caleb thought that surprising our neighbours by placing pumpkins on their doorsteps would be a perfect next move. We loaded up our trunk with 6 pumpkins and sneakily dropped them off at different homes around town. So fun! The boys are now thinking of our next act and I can't wait to see what they come up with. I love how a small act have have such a huge impact! And now - it's a photo-extravaganza! We built a water wall for kids zone! 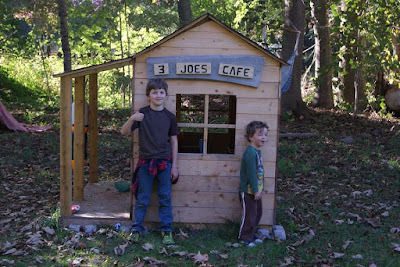 Kids zone is coming along really well - the playhouse is now full of pots and pans and has an official name 'Three Joes Cafe' in honour of Odie's 3 imaginary friends! Thanks to Greggy for making the wonderful sign! And finally, a truly amazing Remembrance Day poem that Caleb wrote at school. I thought maybe the class was given a poem template to work with, but apparently this all came from Cale. He said his poem was much longer than the rest of the student's poems! What a busy AND wonderful fall Ashley! Wonderful poem Caleb! We love hearing about all your adventures and pictures! Can't wait to see what they boys come up with next for a random act of kindness! There is now a day in September named for Becca, so hopefully more and more people will keep on doing it!